We love Oregon just as much as you, and we all now have a free platform to share and protect the beauty of Oregon. At That Oregon Life, we love sharing our crazy, fun adventures. 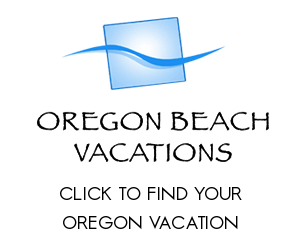 Currently, our Oregon adventures are reaching approximately 10 MILLION people per month! If you love adventure as much as we do, you should be a Guest Author on That Oregon Life. That Oregon Life is now accepting articles, photos, and videos from Adventure Guides, Inventors, Foodies, Beverage Connoisseurs, Health Experts, Women’s Groups, Startups, Entrepreneurs, Historians, Artists, and all the other organizations and crazy fun things that make Oregon so great! The submission process is fun, easy and a great way to help others explore Oregon and learn to Leave No Trace. You’ll receive your own author bio profile with byline under article, links from your profile to your website and social media pages, as well as exposure to millions of readers. So join the team and share your awesome Oregon stories with the world! Content must be high-quality and original in order to be published. Be authentic and let a little personality show through. We love giving credit so please make watermarks/copywriters non-invasive. Must own rights to images provided (we may add images to articles). Please keep paragraphs short to improve experience on mobile devices. Commercials for products and/or services will most likely not be published. Oregon “How-To” and/or “DIY” articles may include a product. Unsubstantiated claims, hateful content, & fake news will NOT be published. We routinely compile articles for posting on TOL social profiles. Reach statistics, article traffic, & analytics may be requested for portfolio use. Welcome to the team! Please keep in mind, That Oregon Life Guest Authors whose high quality content and/or participation drive significant amount of views and engagement may be entitled to additional posting privileges or other benefits. Thank you for making Oregon such an amazing place to live, learn, and grow.